Pat Dowell, Alderman of the 3rd Ward, was a significant catalyst for the rebirth of the historic Bronzeville community that occurred in the 1990’s. 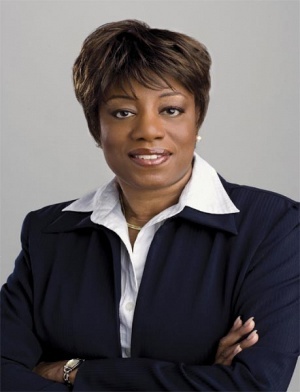 She has an extensive background in urban planning and community development and was one of the primary architects of the Bronzeville Development Plan. Since being elected in 2007, Alderman Dowell’s work has been centered on community engagement and community-based development that is rooted in transparency and celebrates the area’s rich cultural history. Along with attending CAPS meetings and hosting numerous town hall meetings and other events, she has worked hard to create an accessible ward office that truly serves the people. This type of strong leadership has resulted in initiatives that benefit all who live, work, and play in the Third Ward by promoting public input, openness, and accountability. Alderman Dowell has passed through the City Council, significant pieces of legislation that continue to bring needed resources, jobs, services and infrastructure improvements to our schools, parks, and residents. Recently, Mayor Rahm Emanuel tapped her to serve on the City-County joint Collaboration Committee to identify opportunities in which the County and City of Chicago can work together to deliver quality services to residents in a more efficient and cost effective manner. Ms. Dowell has a B.A. degree in Developmental Psychology from the University of Rochester and a Masters Degree in Social Service Administration from the University of Chicago. In the City Council, Alderman Dowell is Vice Chair of the Housing and Real Estate Committee and a member of the Aviation, Budget and Government Operations, Rules and Ethics, Education and Child Development, Finance, Health and Environmental Protection, and Transportation and Public Way Committees. The full list of Committees, as well as meeting dates, agendas, and legislation, are available at: chicityclerk.com. Chicago City Stickers, Residential Zone Stickers and Guest Passes are all sold at the City Clerk’s Office or Clerk Satellite Facilities. The Ward office may provide some extra services for sticker purchases, however, it is best to call the Aldermn's office prior to your trip to ensure your respective guest pass zone is in stock or if you have any questions contact the Alderman's office. If you live in the City of Chicago for more than 30 days, you are required to have a Chicago City Sticker. City Stickers are not sold at the Aldermn's office. *Please be aware that there may be a convenience fee associated with purchasing stickers at a currency exchange location. Currency exchanges can only process orders for vehicles with in-state license plates. If you have out-of-state plates, visit the City Clerk’s office to purchase your sticker. The annual cost for a passenger vehicle is $75.00 however they are prorated. If you have a larger truck, van, or SUV you may need to purchase an additional large passenger sticker. Make sure to check the Chicago City Clerk for information and to see if your vehicle qualifies. If you are age 65 or older, you are eligible to receive a senior citizen discount on your sticker. You will need to provide proof of vehicle registration and proof of residency. Some examples of proof of residency include driver’s license, state ID, lease, mail, etc. City Stickers purchased after July 16th of each year are subject to a $40 late fee. Some streets in our ward have residential zone parking. This means residents may purchase a Residential Zone Sticker to park within a designated area. For your convenience, you may place an order for a residential sticker at the Aldermn's office and they will process your sticker order. Stickers are not sold at the Alderman's office. To order, you must have a current Chicago City Sticker and proof of residency. Please allow one week for either pick-up or mail delivery. You must purchase the Chicago City Sticker before you purchase the Residential Zone Sticker. The annual cost of a residential sticker is $25.00 however they are prorated. You will need to provide proof of residency and proof of your Chicago City Sticker. The cost of one booklet is $5.00. A booklet contains 15 guest passes and you are limited to 2 booklets per month. Each pass is valid for 24 hours from the date and time you post the sticker. Guest passes do have an expiration date. They are valid for one year from July 1st to June 30th. You will need to provide proof of residency.